Legal dynamics is an important aspect of legal reasoning that inspired the area of belief revision. 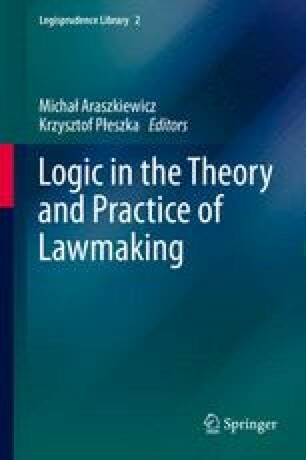 While formal models of belief revision have been thoroughly examined, the formalisation of legal dynamics has been mostly neglected. In this contribution we propose Temporal Defeasible Logic to model legal dynamics . We build such a logic in steps starting from basic defeasible logic , and we show how to use it to model different forms of modifications such as derogations, textual modifications, abrogation and annulment. Governatori, Guido, and Giovanni Sartor. 2010. Burdens of proof in monological argumentation. In The twenty-third annual conference on legal knowledge and information systems (Jurix 2010), ed. Radboud Winkels, vol.223, 57–66. Amsterdam: IOS Press. doi:http://dx.doi.org/10.3233/978-1-60750-682-9-57.